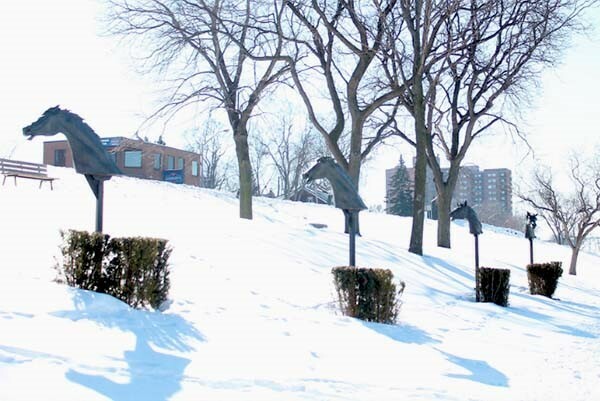 Racing Horses features four bronze horses sculpted by Derrick Stephen Hudson. 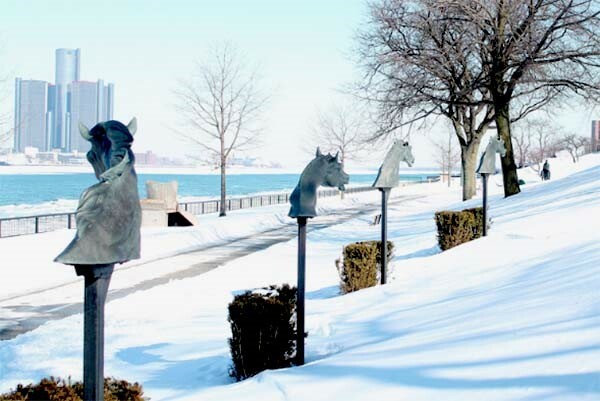 The angle of the horses' heads and the three-dimensional power of the sculpture reflects the movement and emotion of a horse race. 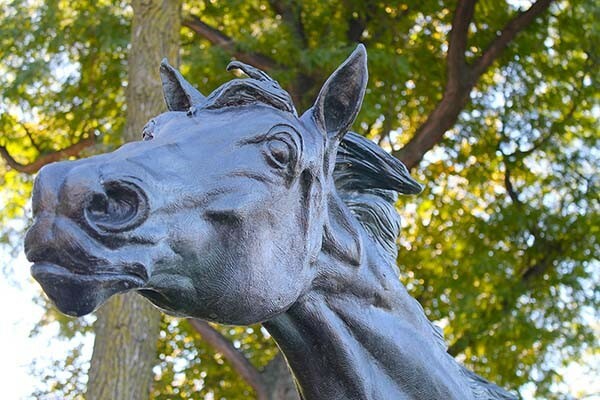 Although the Racing Horses are suspended in time, they appear to be racing forward with power and beauty. Hudson is now focusing on wild animals for his sculptures. " I find the animal form dynamic, diversified and tragically disappearing. I try to capture their energy and dynamism." Derrick Stephan Hudson was born in the United Kingdom, and he moved to Canada as a child. He earned a Bachelor of History Degree before completing studies at the Ontario College of Art and Design. 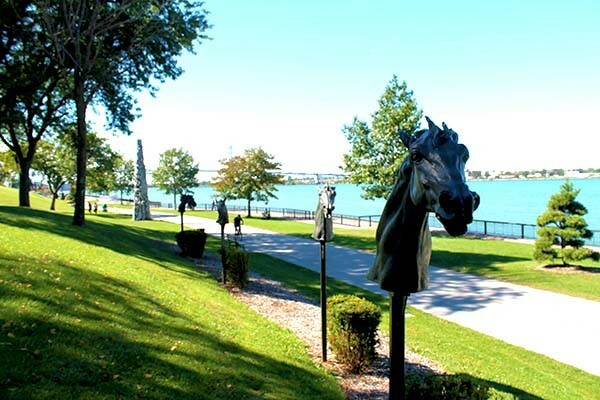 His sculptures are included in private collections in Canada, the United States and the United Kingdom.